Do you want to work for Jamestown Manufacturing? Why not give your career a boost and join us at Jamestown for a brighter future? We’re on the lookout for dynamic individuals who want to take their career to the next level – we have jobs available and onsite training will be provided for suitable candidates. We’re an organisation with the ambition and resources to help you realise your full potential and we’re fully committed to providing training and professional development for our staff. 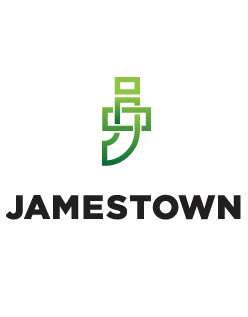 We’re proud of what we do here at Jamestown – why not be part of it? If you think you have what it takes to join us at Jamestown and make a difference. Jamestown require Coded Welders, particularly MAG welding, preferably with structural steel experience. Proficiency in English would be desirable. An ability to work to Weld Procedures and read Mechanical Drawings is essential. Shift work may also be available / required. We operate T&I Automated Beam Welders (SAW), on which we produce Plate Girders. This department requires operators that are proficient in MAG welding, reading mechanical drawings, completing paperwork and have experience with overhead crane gantries. A proficiency in English is required. Onsite training will be provided. Ability to work shifts would also be advantageous. This department requires operators that can, or are interested in learning how to, operate CNC machines and use overhead gantries. Candidates must be good with paperwork. Onsite training provided. In the packing hall all employees clean, inspect, repair and pack parts for despatch. This department requires operators that can use grinders, read a measuring tape and must be good with paperwork. Onsite training is provided, Forklift experience would be beneficial.